Image example Damini Ogulu a.k.a Burna Boy na Port Harcourt boy from Ahoada area of Rivers State, southern Nigeria. Damini Ogulu a.k.a Burna Boy launch im new documentary wey e join bodi wit online video stream site YouTube do. Di documentary na about di Nigerian singer career and wetin im dey try do. "me, I no dey fight for to be number one, as you see me so, I bin no sabi say I get fanbase sef, I just wan sing my music for wen I no dey again." Burna Boy tell BBC News Pidgin say im music bin no dey for am to get famous but so e go fit tok im mind. E also tok say na YouTube be one of di best promotional tools im don dey use as e dey free and don allow am to connect to di world for way wey e neva tink am before. Dis na di second collabo wey YouTube dey do with Nigerian musician as dem follow do di Lagos to London documentary wit Mr. Eazi. Burna Boy don dey blow for di Nigerian music scene throughout 2018 when e start di year with di Outside album. Na also for 2018, YouTube recognize am as di artiste on di rise do feature on am. Di documentary tok tori about how e be from small pikin and how elements like Fela, video games and places like Port Harcourt and London take affect im music. 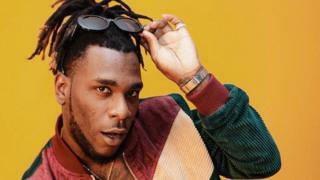 Burna Boy tok say wetin im dey try do with im music na to tok di tins wey im dey see give di pipo wey e dey see. Damini Ogulu a.k.a Burna Boy na Port Harcourt boy from Ahoada area of Rivers State, southern Nigeria. Eli Waduba drawing of Kevin Hart dey make artist redouble dia hustle for social media?